This Sunday we are discussing: Controlling information to protect us. highlight the real moral issues involved. but then again they probably already know. arrogance and stupidity within the military and government in general. after its introduction into service. privileged few) headed by the head of state (not the Prime Minister). us. But this is not really a big issue. day? And when I say there is nothing we can do, there is nothing we can do! kill policy against those trying to enter their country. other countries, if not the people. about this virus at the beginning. reach the conclusion that the scientific information is not conclusive. caused by global warming in ten or twenty years time? better chances (Skin Cancer argument). argue, we cannot be sure that everyone will cooperate. entering our country must be environment friendly. El Mercado de la Salud Mental. Este mes va a ser un la conferencia de Manuel Noriega, cuyo título es: El Mercado de la Salud Mental. Su currículum lo podéis ver a continuación. Como siempre la conferencia es gratuita (aunque es obligatoria una consumición). Este año el programa de actividades de la Asociación, está muy completo, con actos culturales y sociales. No somos solo una asociación que organiza conferencias, conciertos y recitales. También hacemos programas de Ayuda Social. Entendemos que de todas estas formas nos hacemos más libres. Y por ello necesitamos voluntarios y socios que nos ayuden a continuar con nuestro proyecto. Para la votación sirve cualquier persona u organización, no hay requisitos adicionales para merecer el premio. Actualmente estudiando cuarto curso, compatibilizándolo con el trabajo, de la Licenciatura de Psicología en la Universidad Nacional de Educación a Distancia (UNED). Máster en Psicoanálisis por la escuela española de psicoterapia y psicoanálisis de Madrid. Formación Profesional Primer Grado, Auxiliar de clínica. Estudios realizados en el Centro Cultural Gredos en Madrid y Prácticas en la Plaza del conde del valle súchil, Madrid. Curso de Acceso a Formación Profesional de Segundo Grado, en el Centro Cultural Gredos. Título de Bachillerato, estudios cursados en el Centro Cultural Gredos. Curso de Orientación Universitaria (COU), estudios cursados en el Centro Cultural Gredos. ASOCIACIÓN CLUB DEL HOMBRE LIBRE ¿Quienes somos? Somos un grupo humanista y ecléctico que busca mejorar las capacidades del hombre actual para de esta forma mejor contribuir a la sociedad, ello mediante el análisis, el ajuste y la adaptación a los grandes cambios sufridos en la sociedad en los últimos años respecto al ser humano, sus responsabilidades grupales y su imagen como individuo. 4. La preparación para que tanto el hombre como la mujer asuman un papel activo y emprendedor en la sociedad a todos los niveles. This Sunday we are discussing: Colonialism. land grab as I argue in my few ideas on the subject below. supply equilibrium. Usually the very basics are also the most important. a car it will soon come to a stop. Roman empire a quest for more land and so. ownership of the assets of other countries or their financial control. ownership of the means of production to use for profit in a free market. financial instrument when the bank lends the buyer money to buy it. of Afghanistan and Iraq resulted in a state of mayhem and flow of oil. that can linger over a country for hours on end. beneficial colonialism? Or are we more like a deadly virus? chances that there will be aliens to be baptised? This Sunday we are discussing: Shallowness. Ruel has prepared an essay for us and I wrote a few idea on the topic. In the meantime Miguel has sent us details about his Maths tertulia. meaningful and in depth relationship with everyone. even feel in a vacuum. give people the wrong impression. they are inundated with people paying them attention. to accept what the establishment says or to maintain the status quo. the hierarchal and social posturing of a competitive biological system. don't want to associate with instead of just politely walking away. This Sunday we are discussing: Dogmatism. 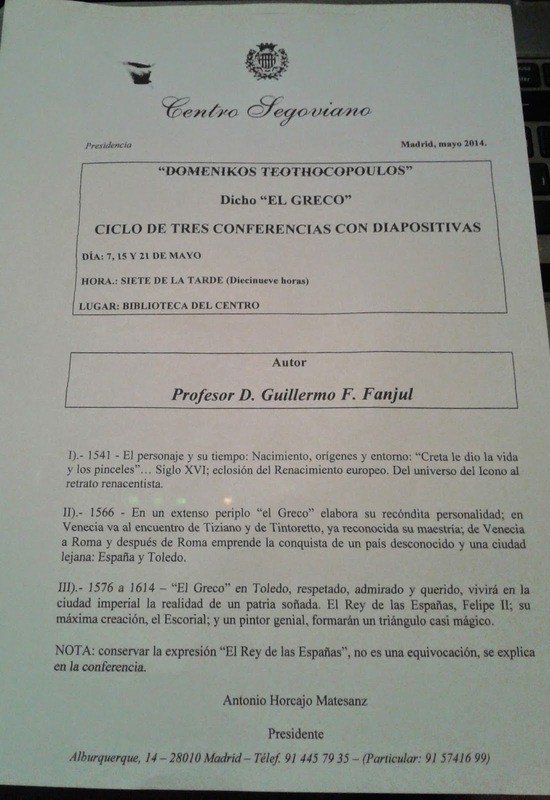 Below is the link to the essay I wrote for PhiloMadrid on Sunday. Thank you and see you on Sunday. and call of some economic sectors and on and on. secondly, dogmatism affects the real lives of people. of a dogma being investigated let alone proved wrong. favour one group at the expense of others. negligent as to whether they do harm to others.